Dorchester Heading from Dorchester, Piddletrenthide is on the B3413. Go though the village until you see the Piddle Inn and Post Office on your left. 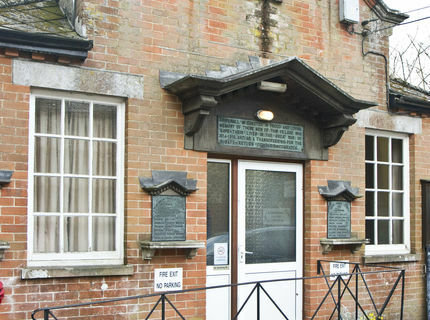 The Memorial Hall is about 50 yards just past the Post Office on your left. If coming from the Buckland Newton / Sherborne in the North, go though the village and the hall is on your right, about 50yrs before The Piddle Inn and Post Office. There is no car park so please park on the road.